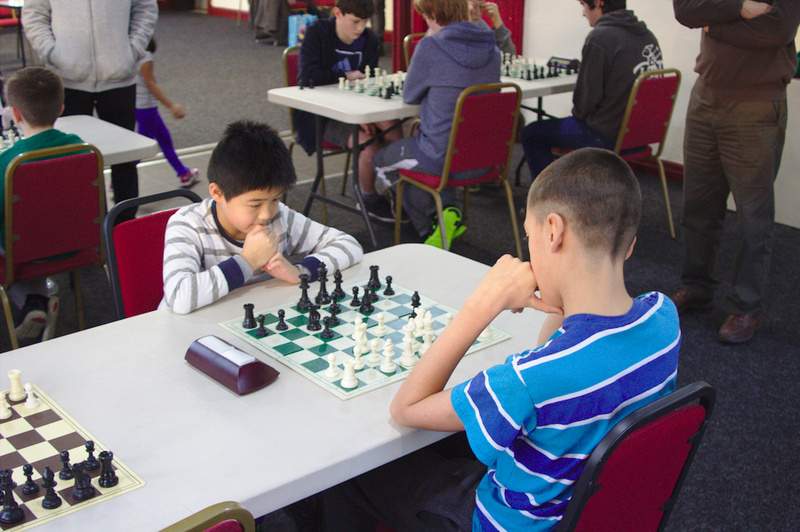 The Durham City Junior Club is now held weekly on Wednesdays from 5.45pm to around 6.45pm. 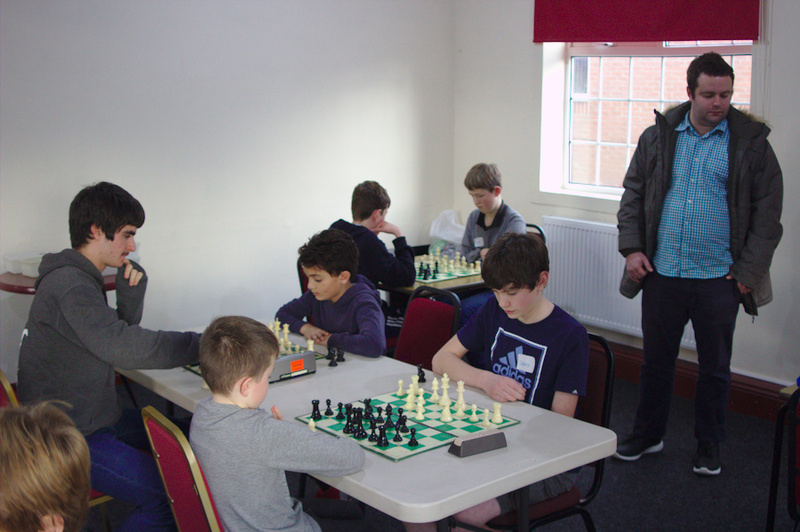 Durham City Chess Club and Durham County Chess Association hold occasional junior events on some weekends. Recently these have been afternoon events at Coxhoe Village Hall. 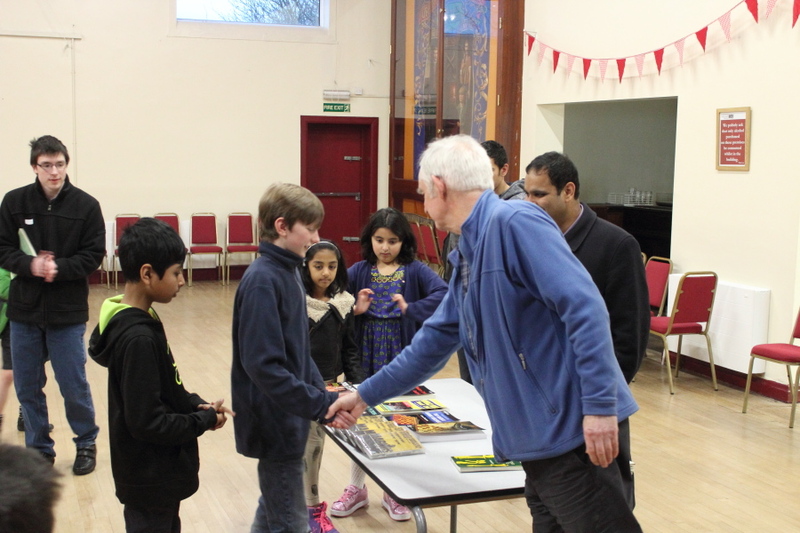 The first Durham City event was at Coxhoe Village Hall 2pm-5pm on Saturday 7th July 2012. There was a mixture of games, problem solving, and some instruction. See below for details. 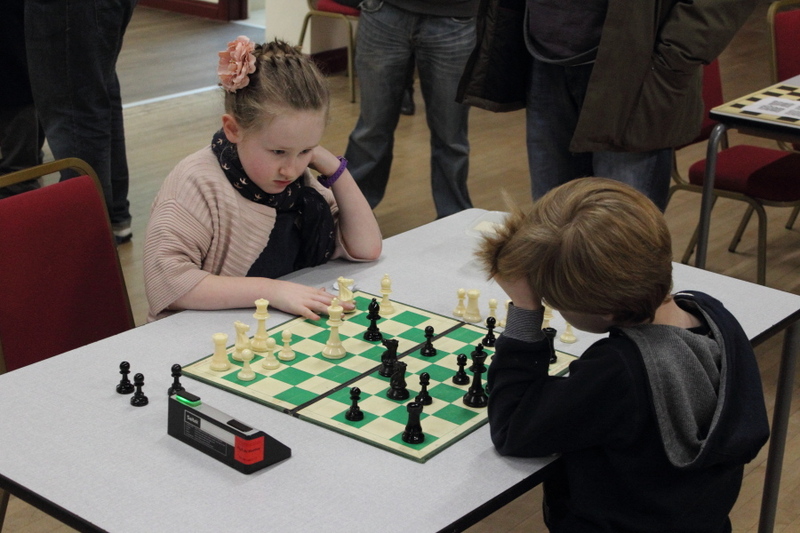 Recent Durham County Junior Championships have been held in Coxhoe Village Hall. See below for details including results from 2011 onwards. See below for full details of previous tournaments and upcoming events. 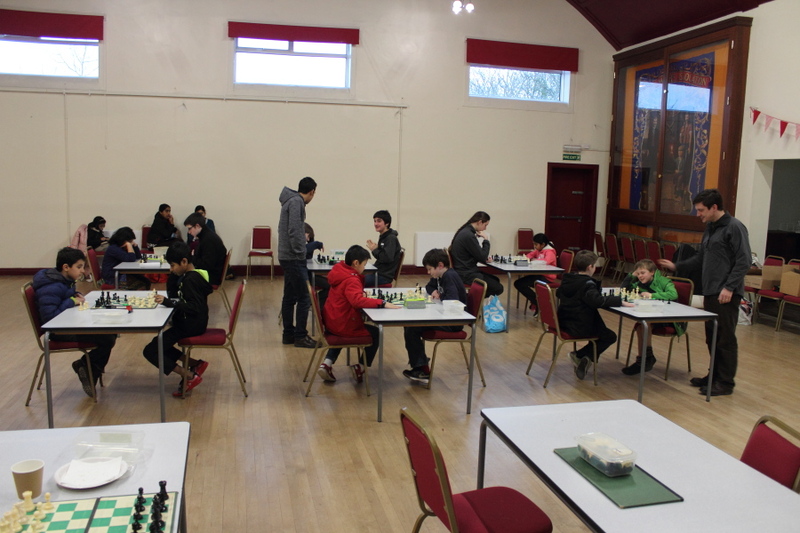 The Durham County Junior Championships took place at Coxhoe Village Hall on Saturday 23rd March 2019 1300-1700. 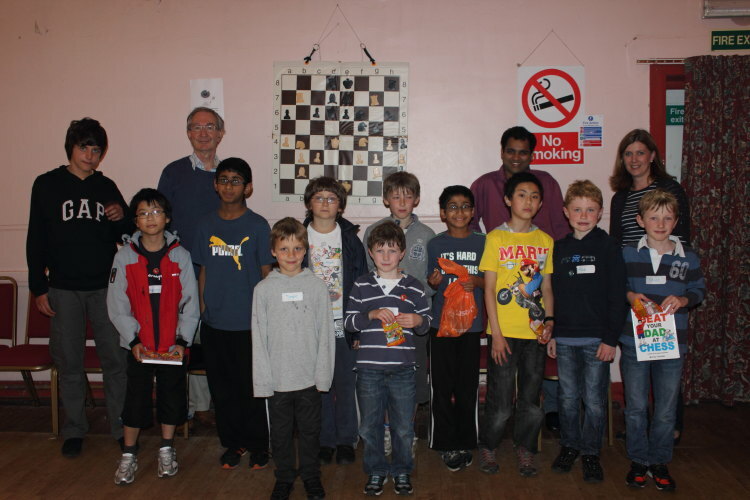 The tournament was organised by the Durham County Junior Coordinating Team: Robin Nandi, Ken Neat and Douglas Smith. The much appreciated refreshments stall was run by Sharon Smith. 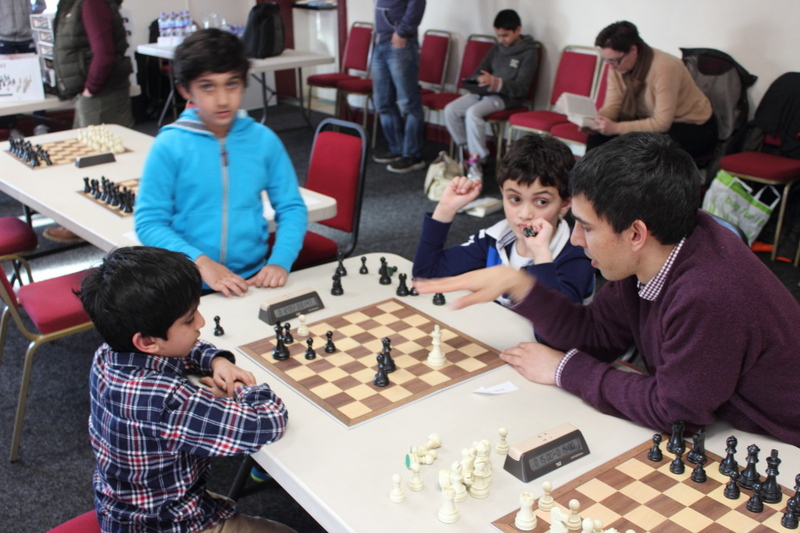 As usual, there was lots of good and exciting chess played, and of course many mistakes to learn from. We had a wide range of players from County Durham and beyond. 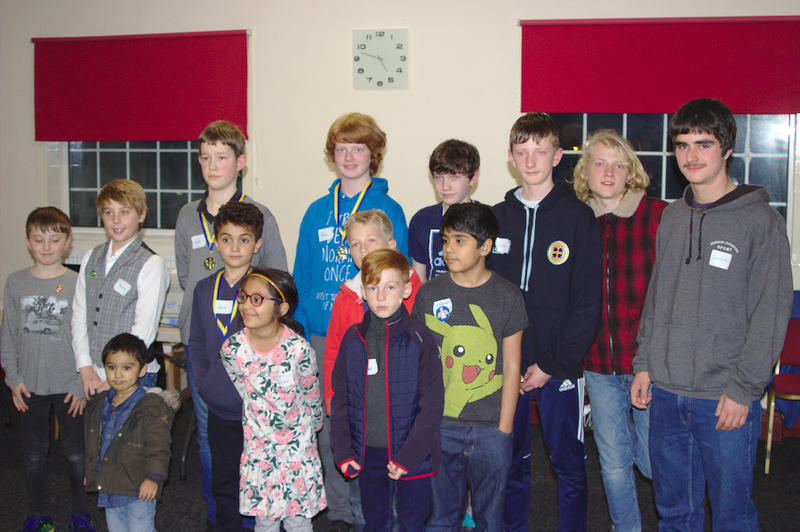 Some players taking part in their first tournament, and hopefully they have gained some experience and are looking forward to the next event. Others were experienced tournament players. 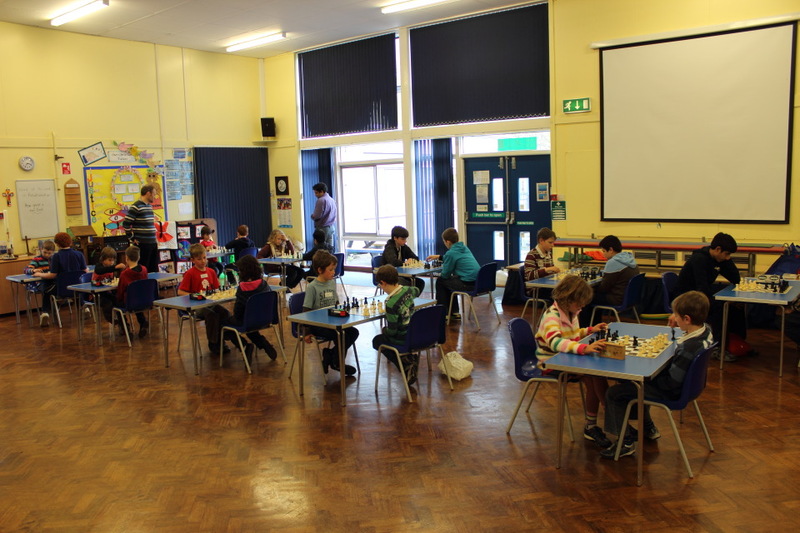 The event was played in two groups: Primary and Secondary School ages. The Primary tournament was a 5-round Swiss while the Secondary tournament was an all-play-all. 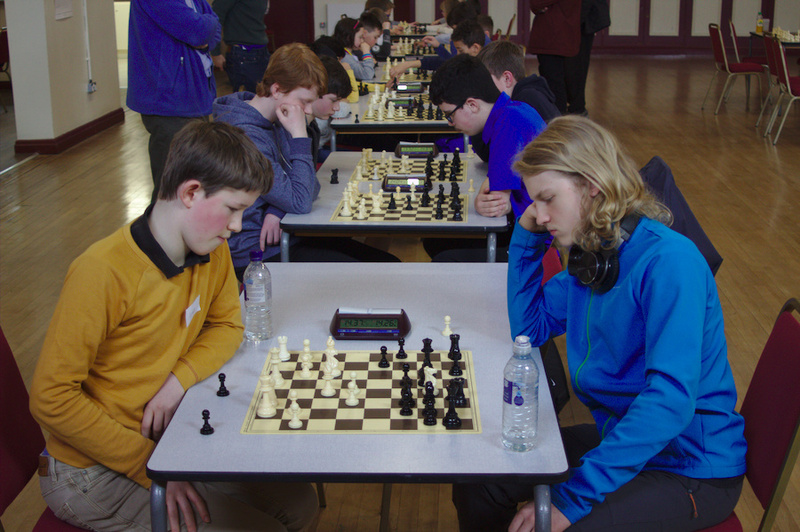 Both tournaments had a time control of 15 minutes plus 5 seconds per move, except for a slightly shorter time limit for the last rounds on the Secondary tournament as a scheduling error meant that we had to split the last two rounds in to three mini rounds. Only players (living or attending school) within former Country Durham were eligible for the Championship Trophies but it was great to welcome players from outside the County. 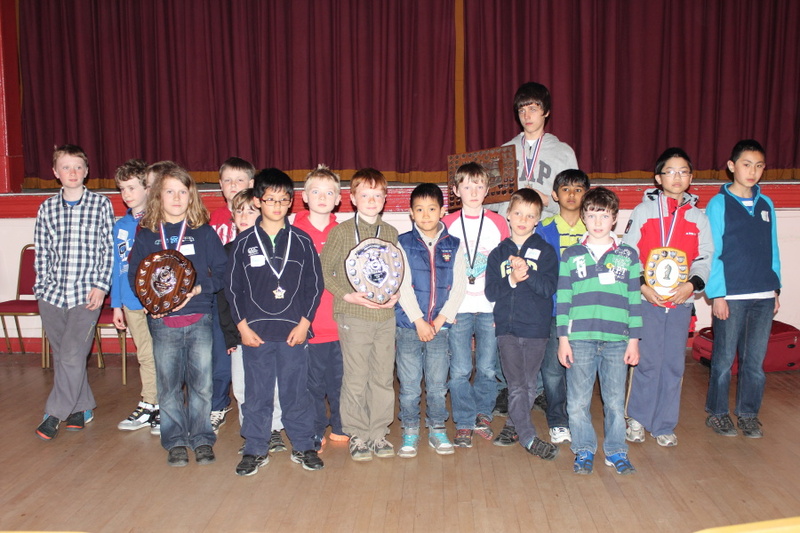 The Secondary tournament was won by Luke Owen who was also the U-15 Champion while Lewis Smith was the U-13 Champion. There were no competitors for the U-18 Championship. The Primary tournament was won by Henry Rewcastle but he was not eligible for the Championship Title. The U-11 Champion is Naman Berry and is the U-9 Champion. The Girls Championship was shared by Chloe Smith and Olivia Williams. Book prizes were awarded for the the winners of the Secondary and Primary tournaments, and to the U-9 Champion, and all prizewinners received a medal. The full results of the tournament are listed below. 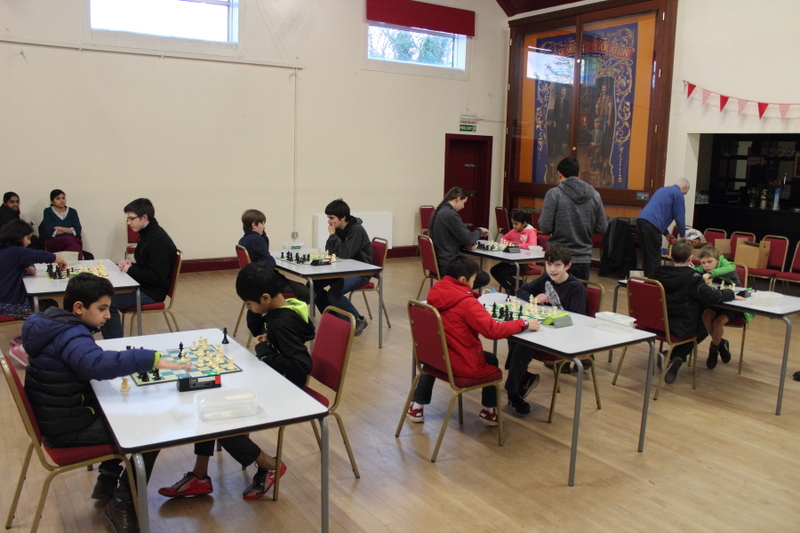 A junior tournament took place at Coxhoe Village Hall on Sunday 2nd December 2018 1300-1700. The tournament was run by members of the Durham County Junior Coordinating Team: Robin Nandi, Ken Neat and Douglas Smith. We had planned a team tournament but unfortunately there was not sufficient interest so we ran an individual tournament instead. 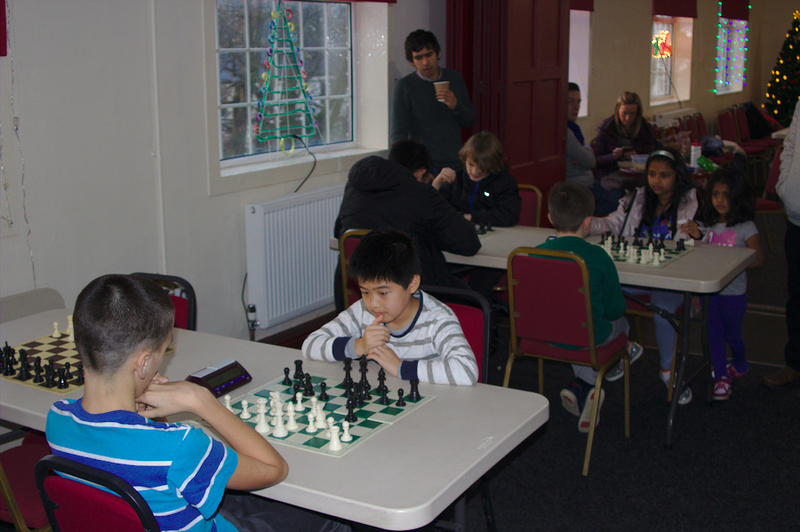 As usual, there was lots of good and exciting chess played, and of course many mistakes. In the end Zhenya Tumarkin was the clear winner with 5 out of 5, but some games could have turned out differently! 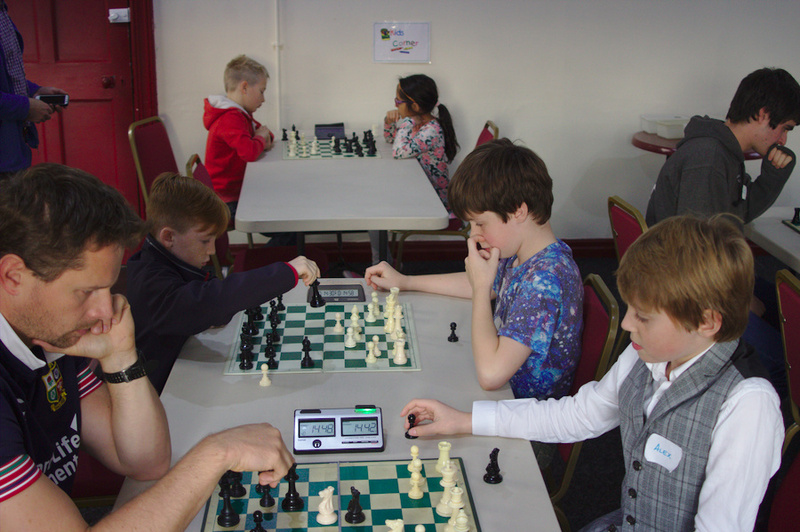 The event was played as a 5-round Swiss, with a time control of 12 minutes plus 10 seconds per move. 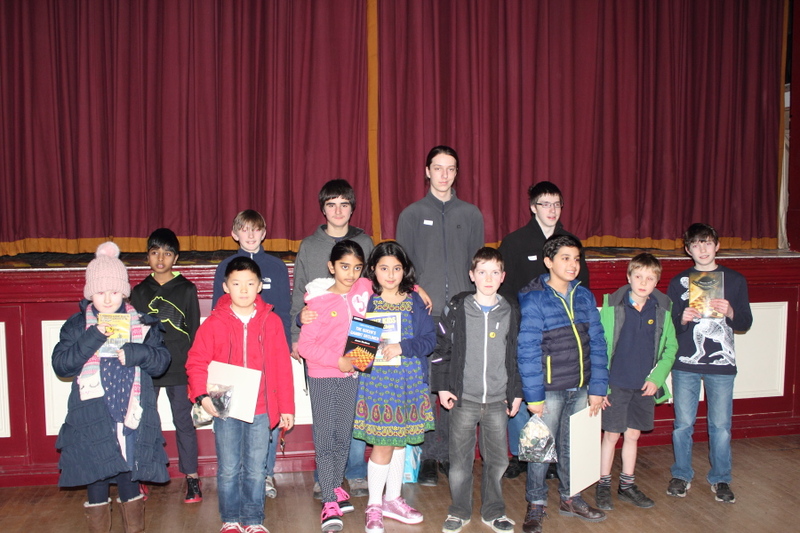 All players played in the same tournament with book prizes awarded according to the overall tournament winner, Zhenya Tumarkin, and the leading Primary School player, Simon Conway. Both these players also received Gold medals. The full results of the tournament are listed below. ** P denotes Primary School age group. 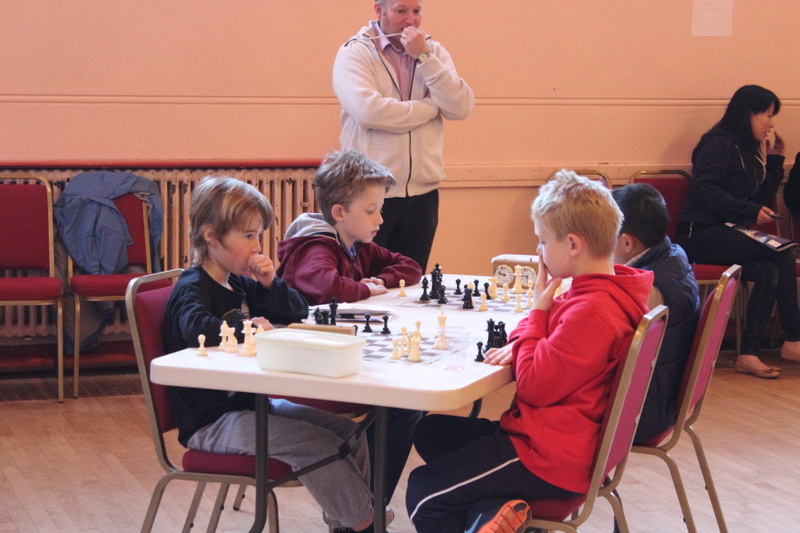 A junior tournament took place at Coxhoe Village Hall on Sunday 4th November 2018 1300-1700. The tournament was run by members of the Durham County Junior Coordinating Team: Robin Nandi, Ken Neat and Douglas Smith. Thomas Eggleston and Malola Prasath also helped on the day. The much appreciated refreshments stall was run by Sharon Smith. 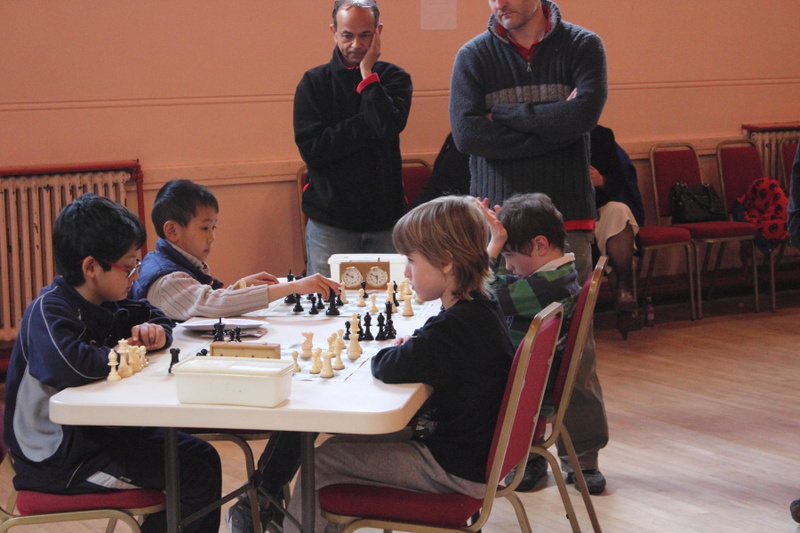 As usual, there was lots of good and exciting chess played, and of course many mistakes. We had a wide range of players from County Durham and beyond. 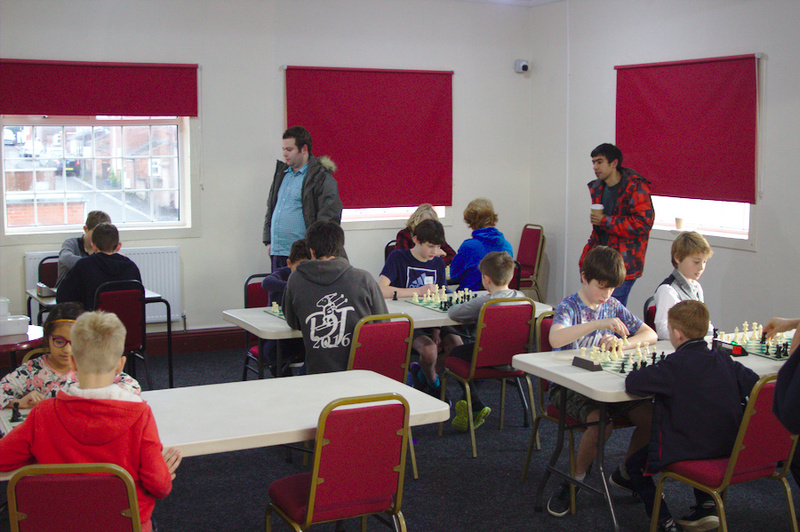 Some players taking part in their first tournament, and hopefully they have gained some experience and are looking forward to the next event. Others were experienced tournament players. The event was played as a 5-round Swiss, with a time control of 15 minutes plus 5 seconds per move. 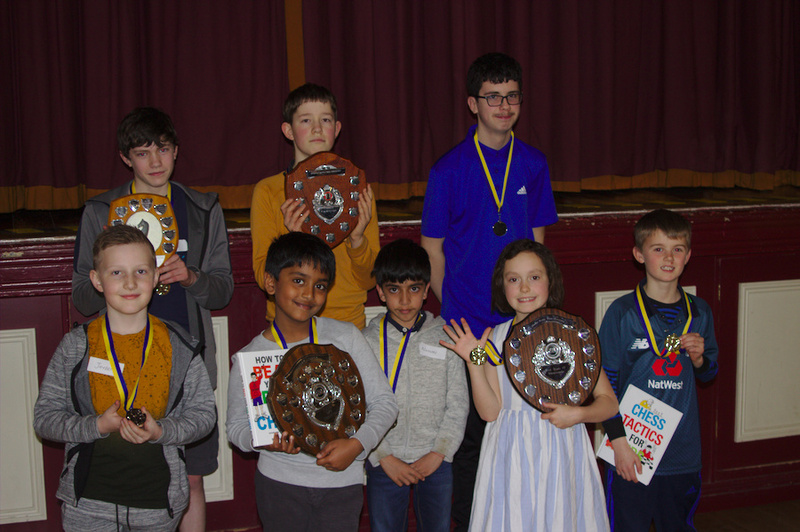 All players played in the same tournament with book prizes awarded according to the overall tournament winner, Luke Owen, and the leading Primary School player, Arun Mohindra. Both these players received Gold medals, while Paul Davison was awarded and Silver medal, and Lewis Smith a Bronze medal. The full results of the tournament are listed below. 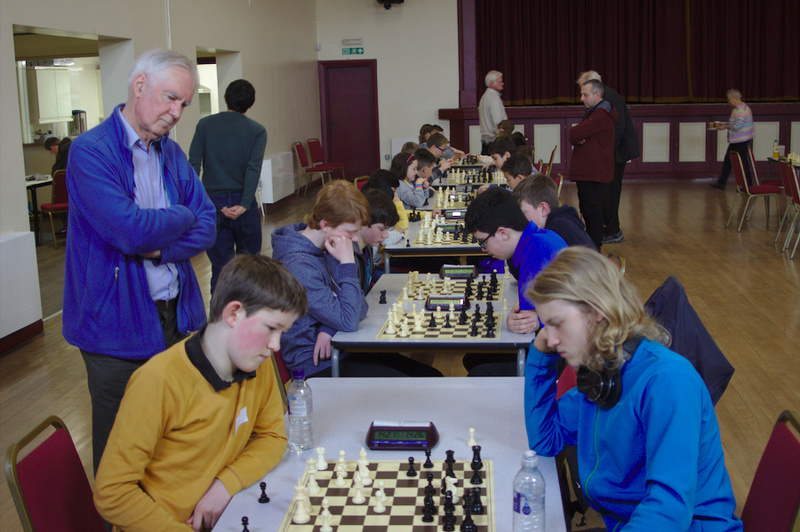 The Durham County junior Championships took place at Coxhoe Village Hall on Saturday 24th March 2018 1300-1700, preceded by a morning training session. 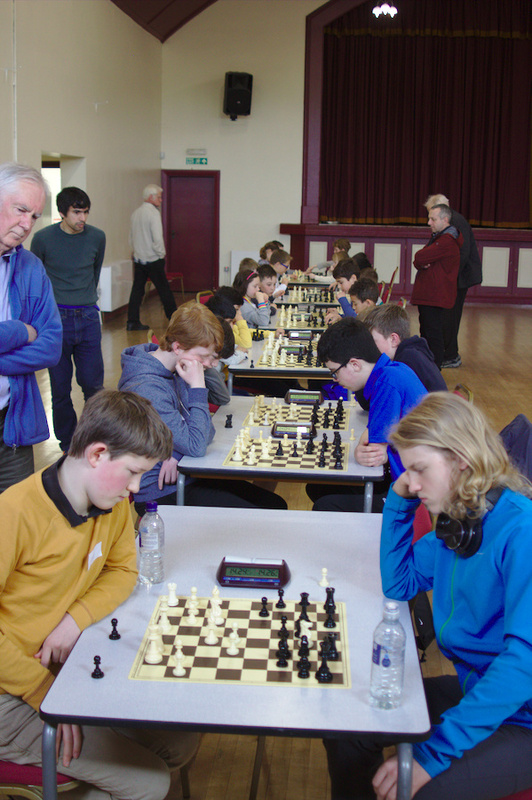 The tournament was organised by the Durham County junior Coordinator, Malola Prasath with assistance from Robin Nandi, Ken Neat and Douglas Smith. The much appreciated refreshments stall was run by Sharon Smith. The event was played as a 5-round Swiss, with a time control of 15 minutes plus 5 seconds per move. All players played in the same tournament with prizes awarded according to age groups, except it was decided to award the U-18 trophy, although there were no players in that age group, by moving the U-15 and U-13 Champions up to the higher age groups. Only players (living or attending school) within former Country Durham were eligible for the Championship Trophies but it was great to welcome players from outside the County. 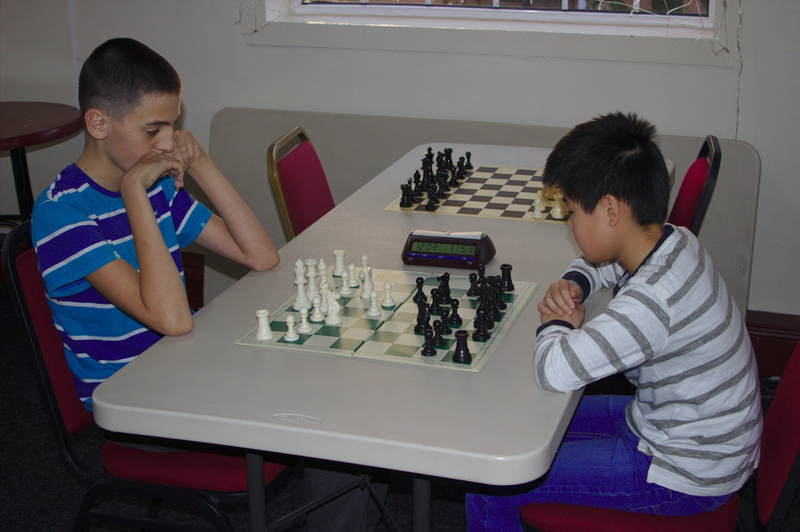 The overall tournament was jointly won by Daniel Shek and Morgan French after a tought struggle in the final round ended in a draw. 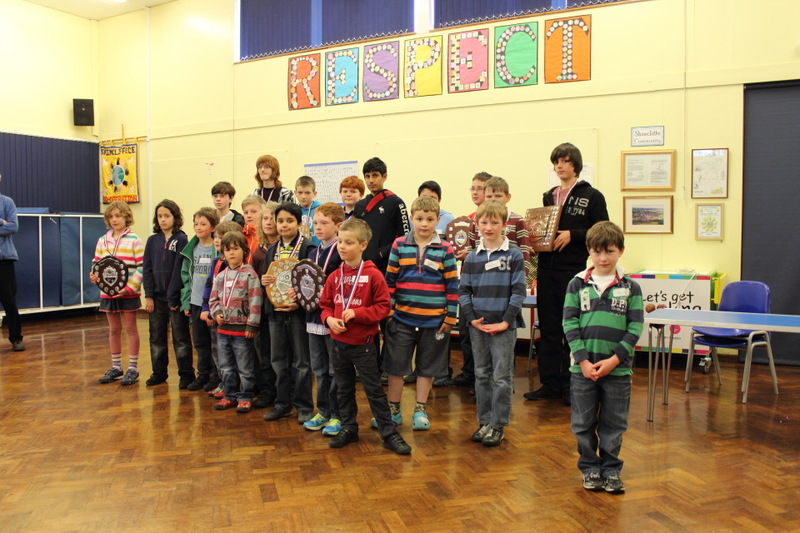 All participants received a medal (gold for 3/5 or better, otherwise silver) and a chess booklet. The full results of the tournament are listed below. 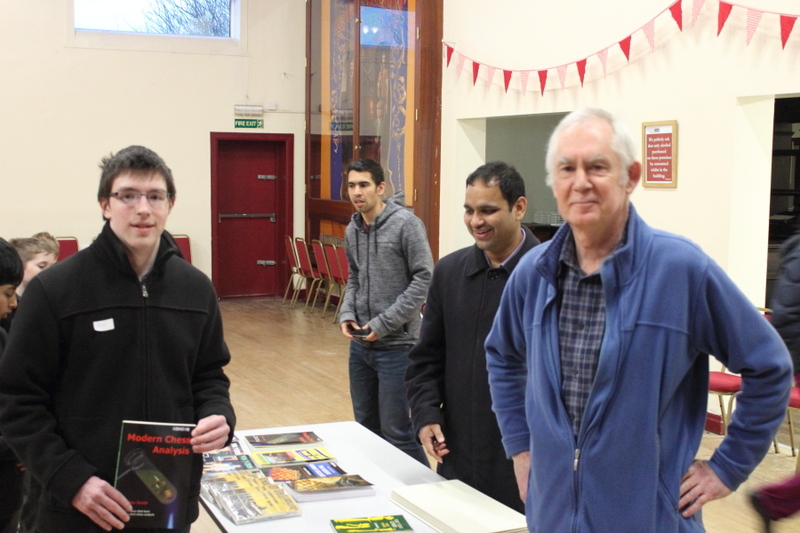 The Durham County Chess Association President, Brian Bainbridge also attend the the tournment. 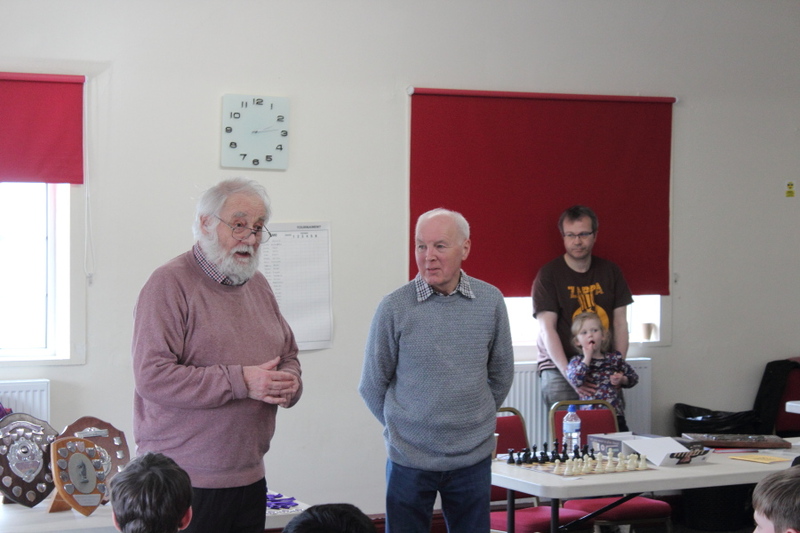 Brian has been involved in chess for many years and has worked hard to promote chess in the region. He has played a key role in the DCCA and its activities such as the Durham County Leagues. 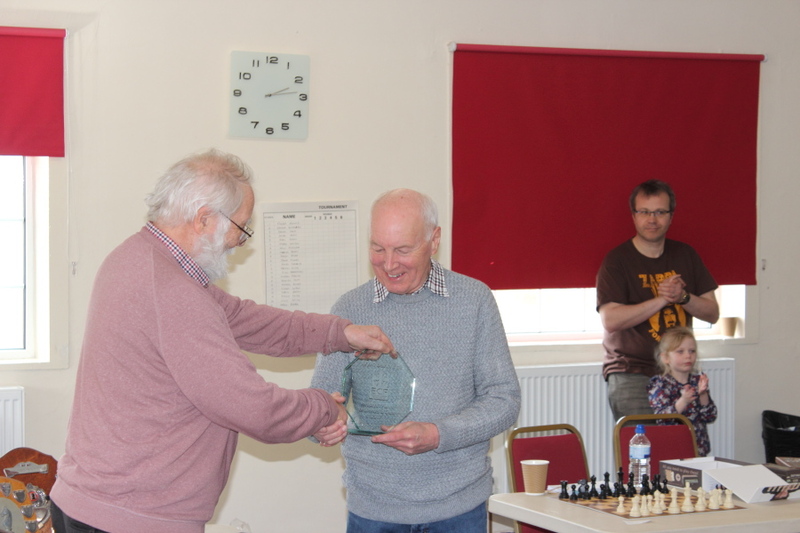 Paul Bielby came to present Brian Bainbridge with an English Chess Federation President's Award for Services to Chess. U9 denotes age group Under-9 (School Year 4 and below) and players marked with * were from outside County Durham. The Durham County Schools Championships took place at Coxhoe Village Hall on Saturday 28th January 2017 1300-1700. It was advertised as a Team Tournament but allowing also individual entries. 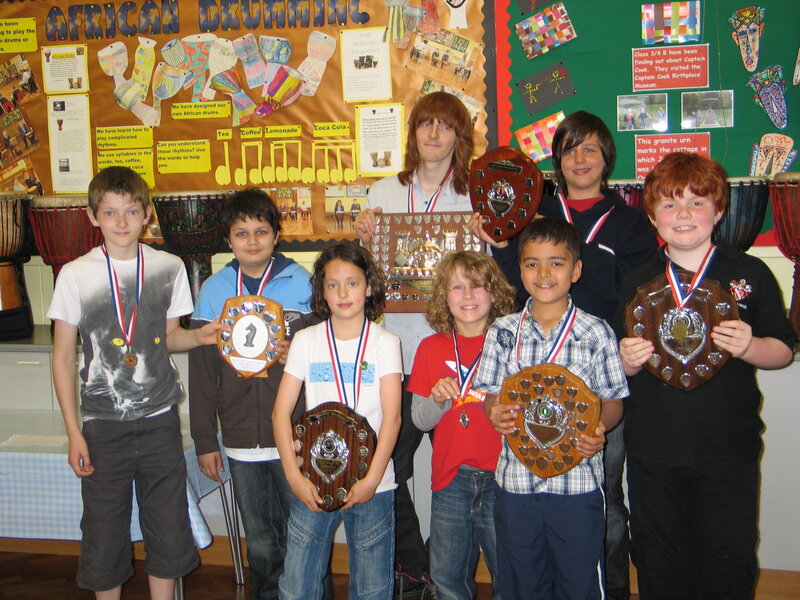 Unfortunately Shincliffe CoE Primary was the only school to provide a team, so there was no team competition. Instead there was an individual tournament. 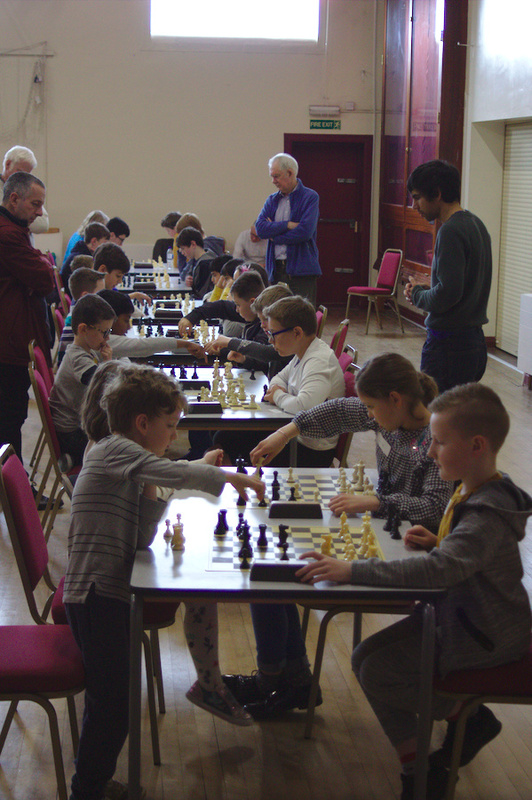 As is usually the case in chess tournaments (junior or otherwise), there was lots of good and exciting chess played, and of course many mistakes. 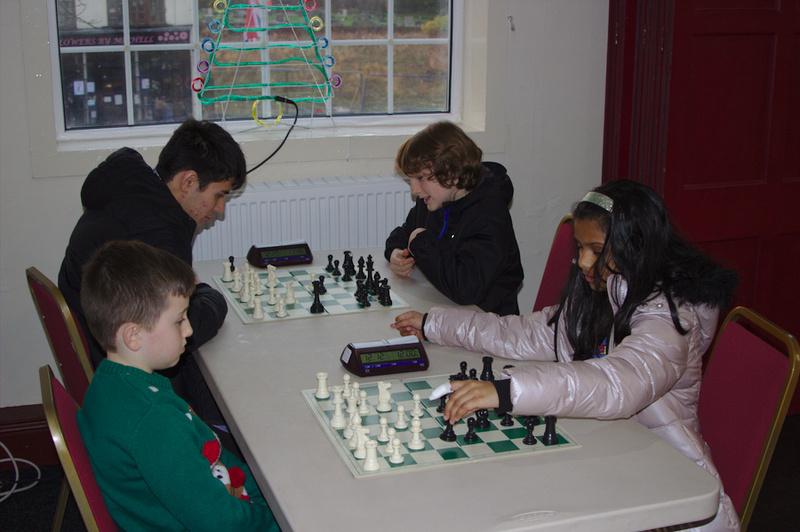 Everyone seemed to enjoy their games and hopefully most will be encouraged to continue practising and playing. We also had some players taking part in their first tournament, and hopefully they have gained some experience and are looking forward to further opportunities. 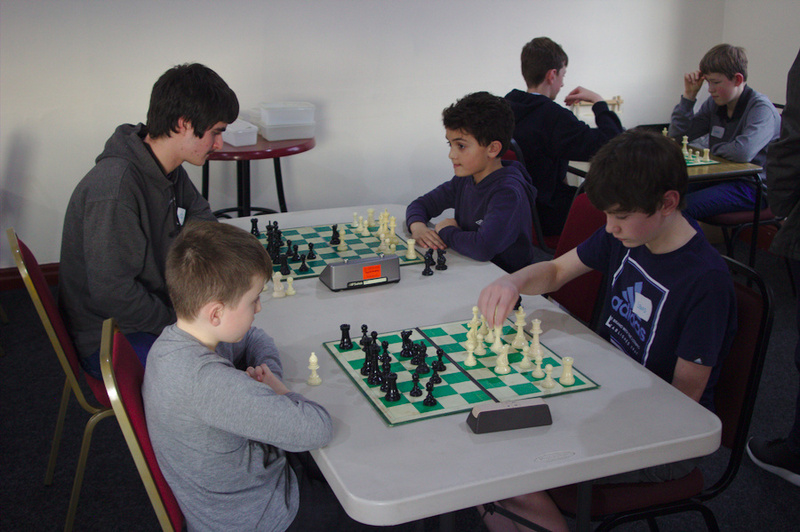 The event was played as a 5-round Swiss, and the there was also a problem solving challenge to keep the players occupied between games. 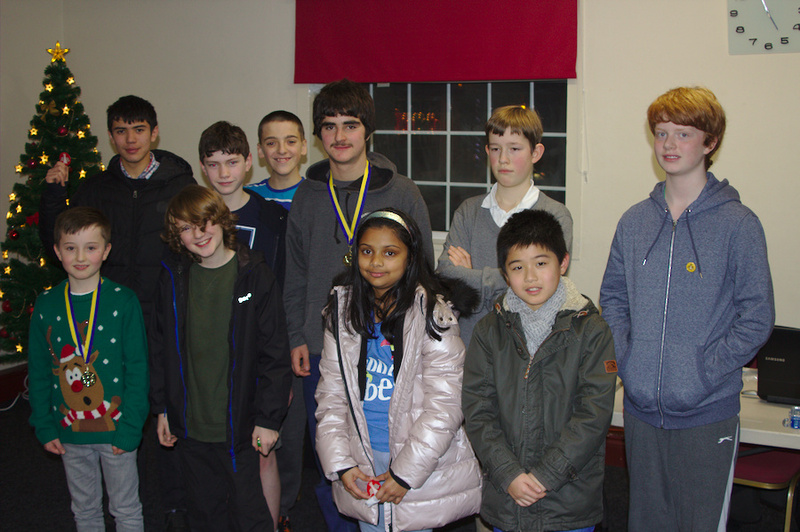 The full results of the chess tournament are listed below. 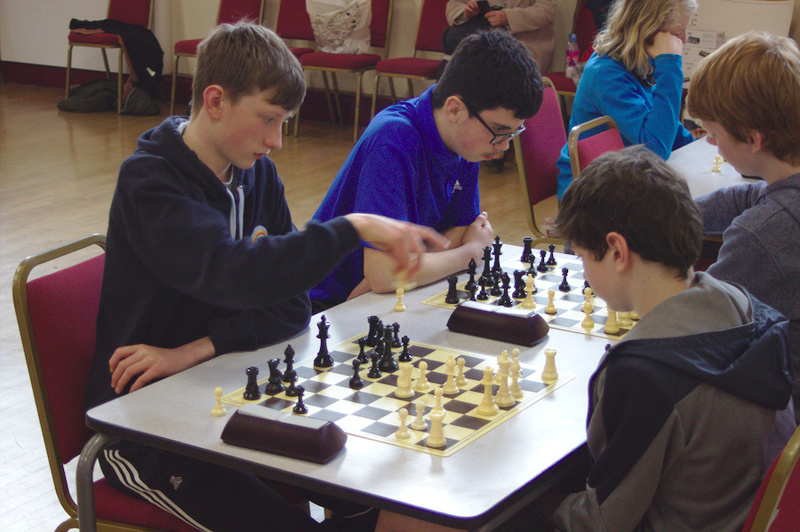 The Durham County Junior Championships took place at Coxhoe Village Hall on Saturday 11th May 2013 1300-1700. There were a similar number of competitors to last year with ages ranging from 6 to 16. The U-9 section again had a good entry, 12 this year but the other sections were combined as there were only 5 players in total. 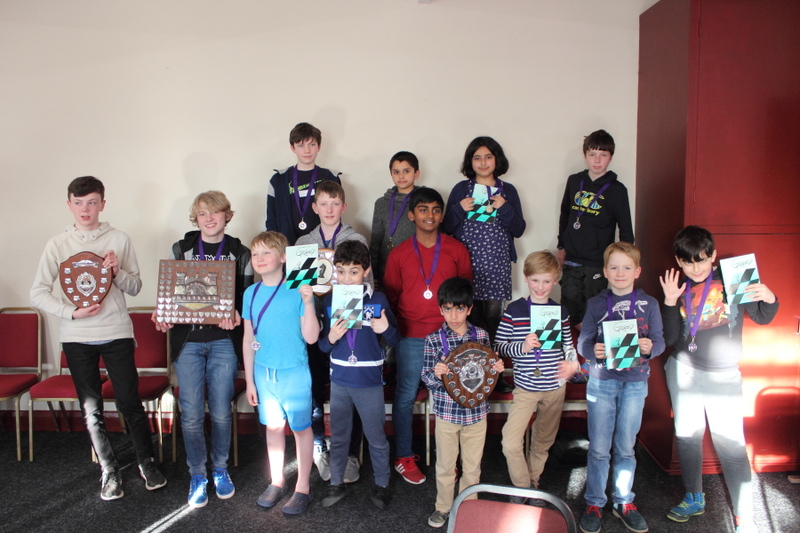 As in previous years there was lots of good and exciting chess played, and of course many mistakes, but everyone seemed to enjoy their games and hopefully most will be encouraged to continue practising and playing. We also had some players taking part in their first tournament, and hopefully they have gained some experience and are looking forward to further opportunities. 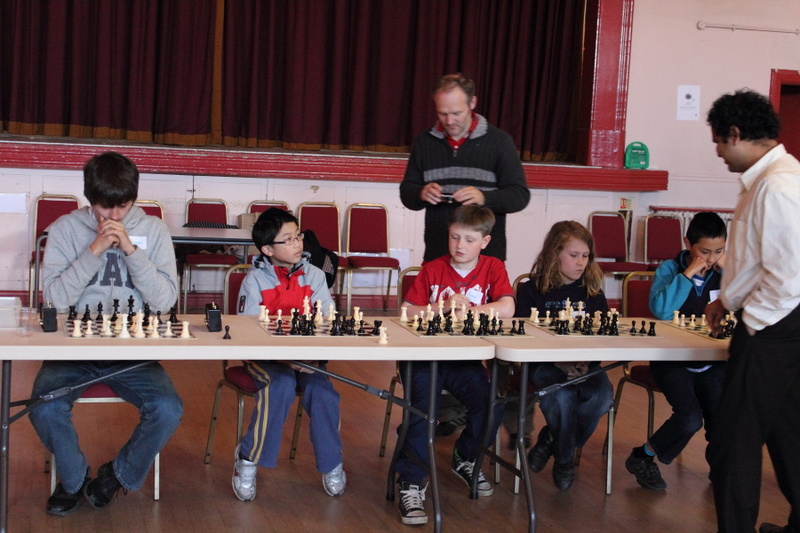 The U-9 group played a 6-round Swiss, while the others played an all-play-all tournament. The full results are listed below. 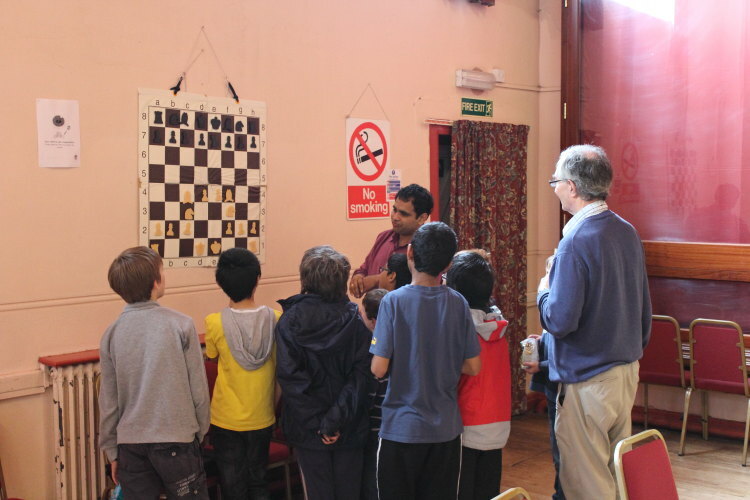 As the U9 group played one more round, during this last round Malola Prasath played a simultaneous match against the over 9s. 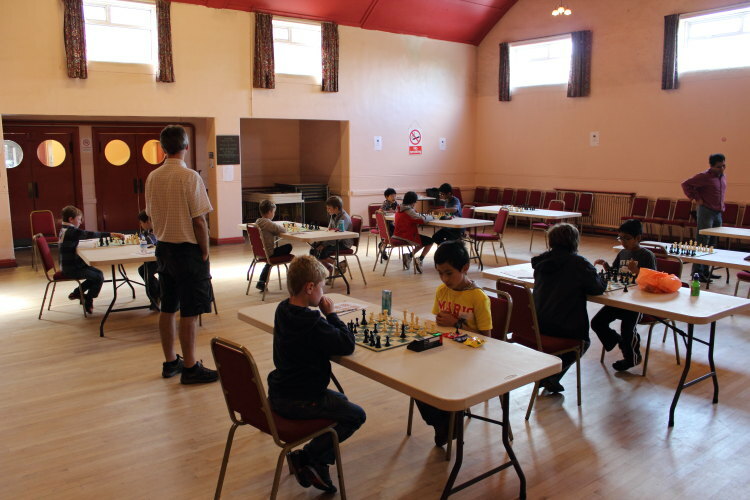 The Durham City Junior Chess@Coxhoe event took place at Coxhoe Village Hall on Saturday 7th July 2012 1400-1700. 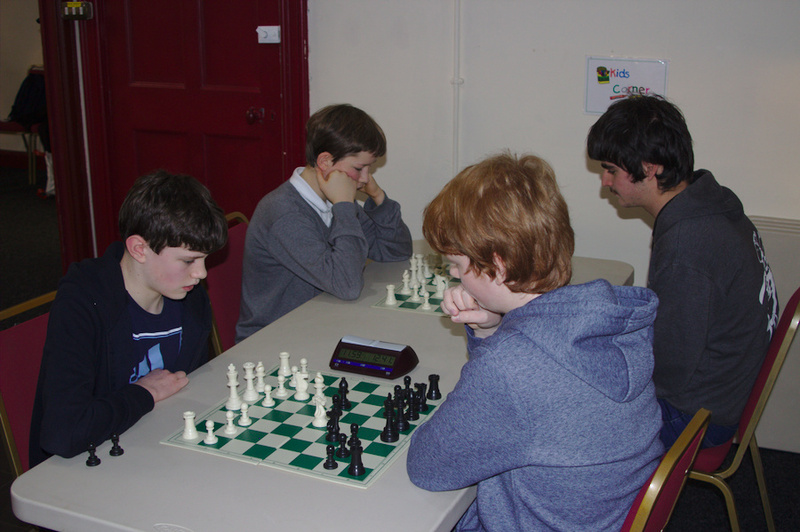 We had 10 juniors taking part and 3 different chess activities. 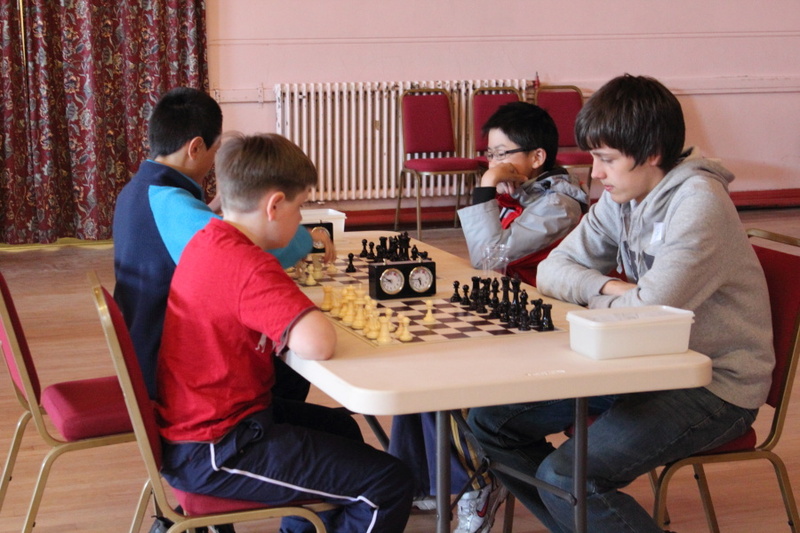 There was a standard chess tournament (3 rounds) played with a time limit of 15 minutes each. We also had a problem solving competition, with 3 sheets of problems, with increasing difficulty through bronze, silver and gold levels. Also Malola Prasath ran a training session on the theme of movement and placement of pieces on the chess board, with the aim of getting an instinct for piece movement and coordination. As well as Malola, I would like to thank David James who helped out on the day, and Sharon Smith for running the tuck shop. The variety of snacks and hot & cold drinks was much appreciated by everyone there. 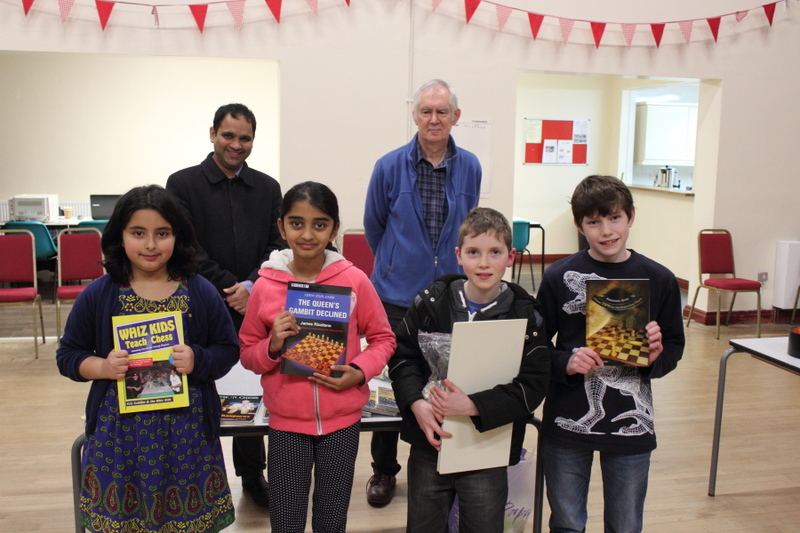 In the end we awarded prizes of a chess book to the top 3 in the chess tournament. Yangyang was the overall winner with 3 wins out of 3, although he didn't play Edwin or Nix who finished second equal with 2.5/3, so the fair outcome was that all three got a prize. Yangyang also produced the best position, as adjudged by Malola in the final part of his training session. 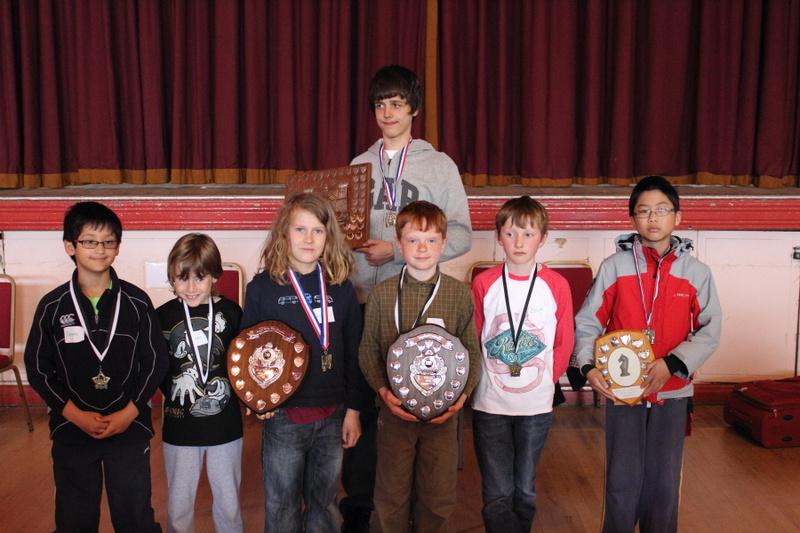 Edwin was the clear winner of the problem solving tournament, correctly solving all 17 problems except one at the gold level which no-one else solved either. The final round game between Edwin and Nix is also worth commenting on. Edwin made a good start, and managed to trap Nix's queen to win it for a rook. However, Edwin later made a very careless move to lose his queen, and Nix immediately took advantage to get a better position. Eventually Nix reached a totally winning position, but committed a very common mistake at this level, accidentally stalemating Edwin. The lesson here is to always think what your opponent's next move might be before you play your own move, that way you will often avoid making a mistake and should immediately notice if your opponent doesn't have any possible moves! Here are the full details of results for the games and problem solving. The points awarded for each position dpeended on the difficulty, and sometime there were some points for a good but not best move. There were 6 positions at each level, except for Silver where I had to ignore the first position. It involved promoting a pawn to a knight. However no-one stated which piece they would take when moving the pawn, and promoting to a queen immediately lost! Some scores may not be entirely accurate as there was some discussion between some participants. Also, Tymek didn't have time to complete the Gold sheet, so way well have reached second position. 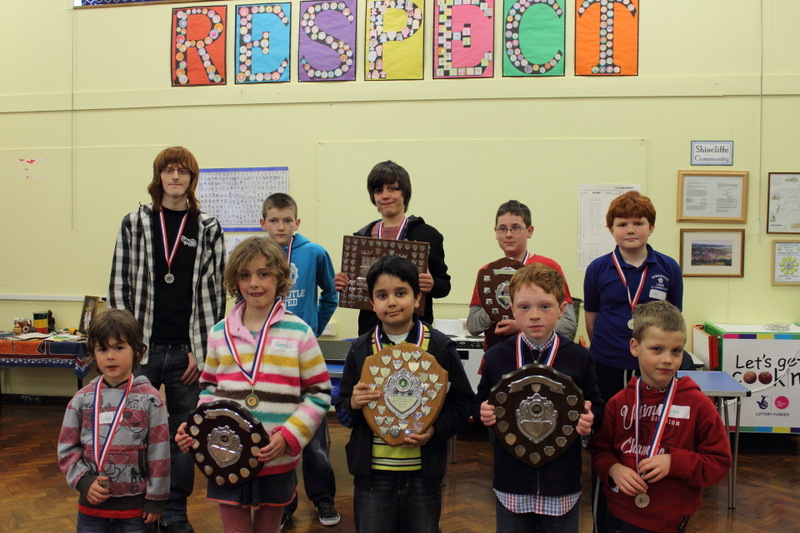 The Durham County Junior Championships took place at Shincliffe C of E Primary School on Sunday 22nd April 2012 1330-1700. There were a few more competitors than last year which was encouraging, although we will be looking to increase numbers further in future. As last year with Dylan Wilson, this year's youngest player, Lewis Smith, will still qualify for the U-9 tournament in 4 years time. The U-9 and U-11 sections were combined, as were the U-13, U-15 and U-18 sections. 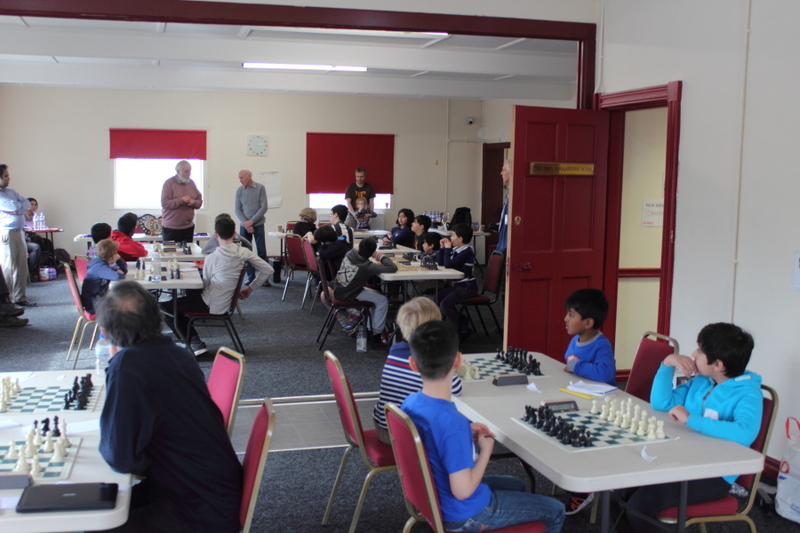 There was lots of good and exciting chess played, and of course many mistakes, but everyone seemed to enjoy their games and hopefully most will be encouraged to continue practising and playing. 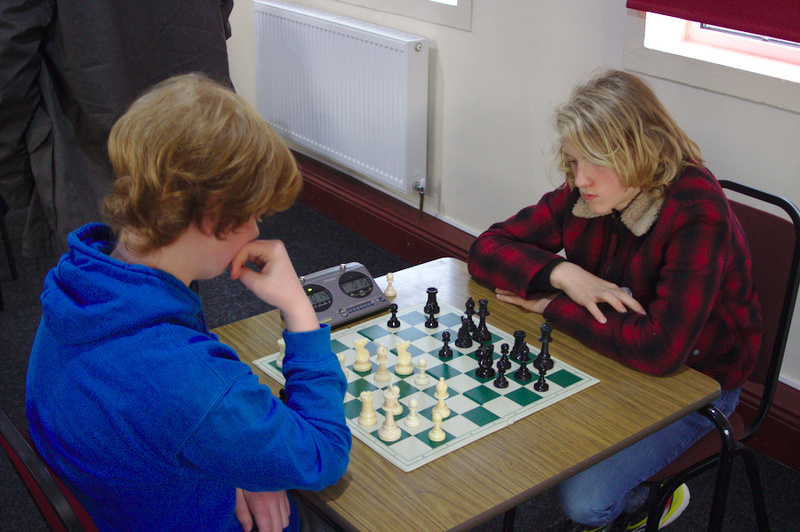 Szymon Palucha winning the U-18 Championship, but the 2011 Champion, Daniel White, only lost out on the tie-break rules. Many hard-fought games in both sections. Several new players, with a particularly good U-9 entry. 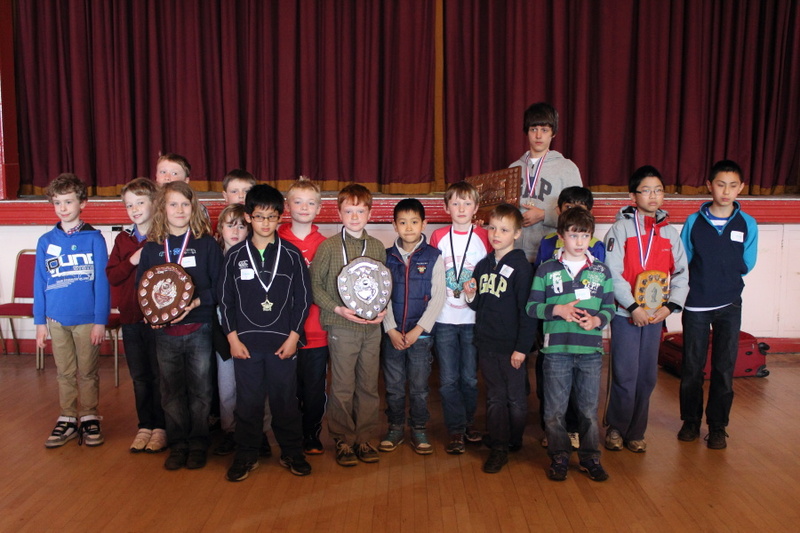 The Durham County Junior Championships took place at Belmont C of E Junior School on Saturday 21st May 2011 1330-1700. The number of competitors was not as high as in previous years, so the U-9 and U-11 sections were combined, as were the U-13, U-15 and U-18 sections. 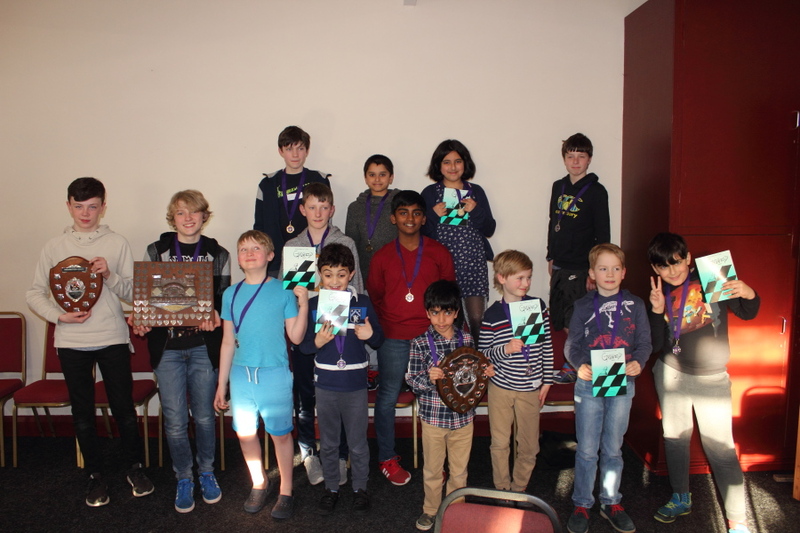 There was lots of good and exciting chess played, and certainly in the lower age group many games could have gone either way so the final table doesn\'t necessarily reflect the close competition. 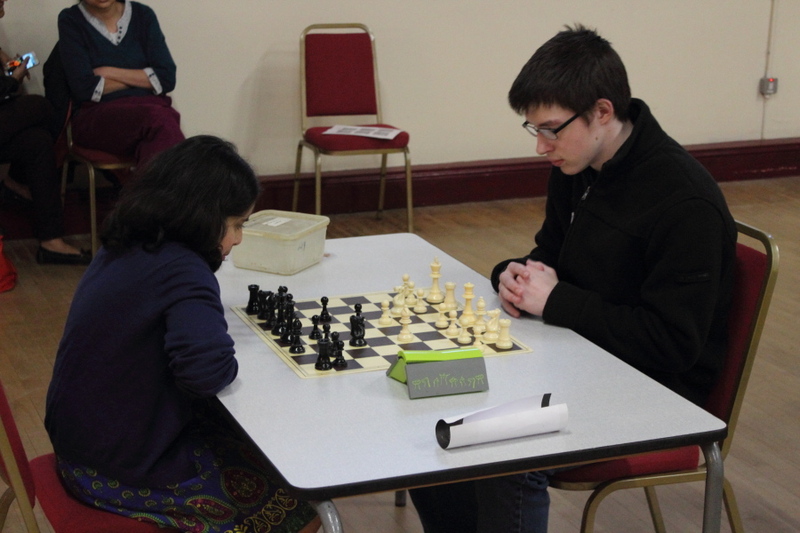 Szymon Palucha with an almost perfect score in the older age group tournament. 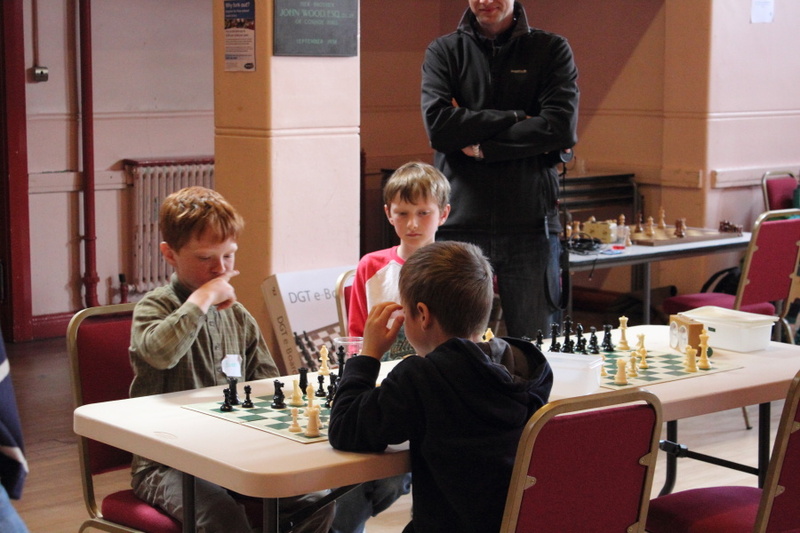 AJ Thorne-Wallis who always looked in control with a perfect score in the younger age group tournament. Shriram Geethanath who played very well on his way to the U-11 title. 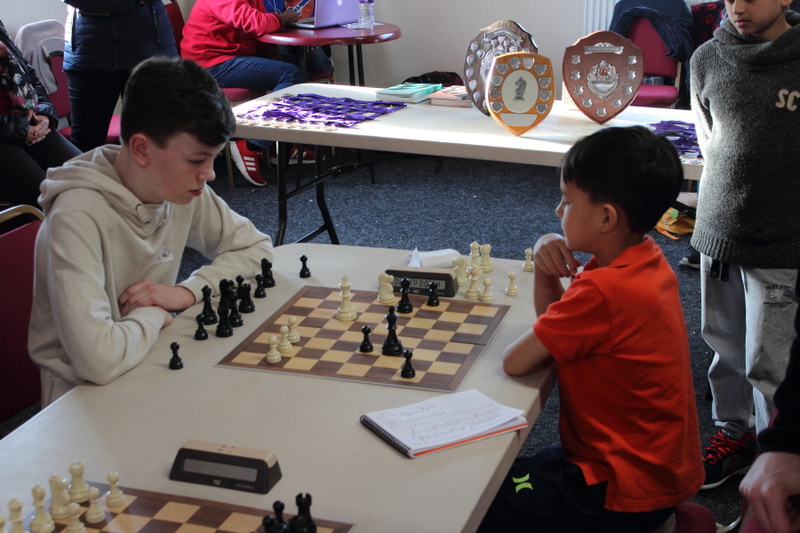 Some honourable mentions also go to Aidan Garner and Edwin Smith for a tight battle for second place in the U-9 section, and to some of the younger players showing that chess is for all ages -- in particular Dylan Wilson will still be eligible for the U-9 section in four years time!